The Alvin Premo Drafting Height Ergonomic Chair provides additional height adjustment of 24 inches up to 29 inches with its height extension kit. This kit includes a 21-inch diameter foot ring that is adjustable vertically and a sturdy cylindrical steel shaft that locks into the chair base. 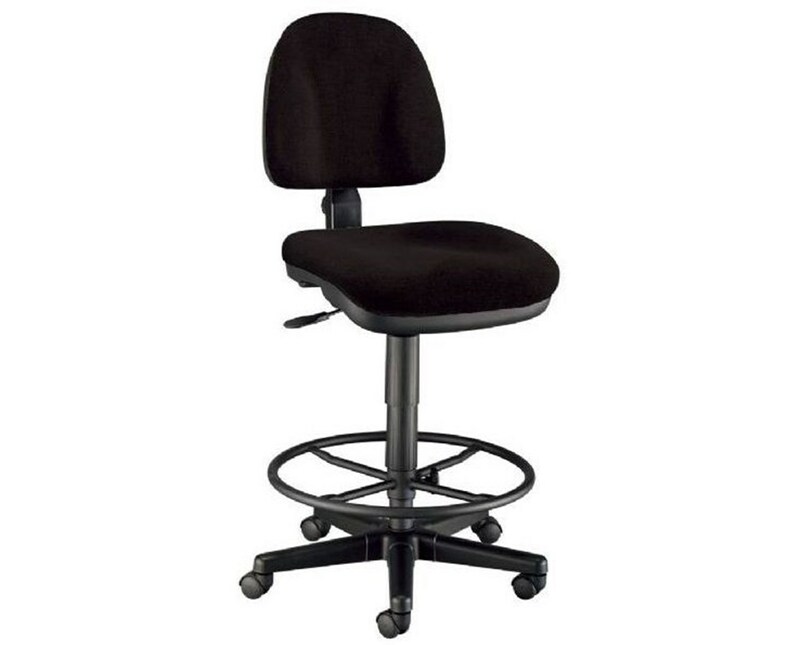 Designed for maximum comfort, this drafting height ergonomic chair comes with a 16"W x 14"L x 2 ½"H backrest that gives solid orthopedic spine support and a 19"W x 17"L x 3"H contoured full-size upholstered seat with extra cushioning for long period of sitting. It is equipped with a pneumatic height control that allows height adjustment from 16 ½ inches up to 21 ½ inches. 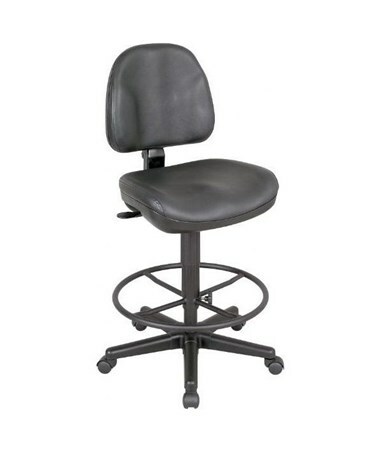 Its backrest has a heavy-duty spring tension angle control for adjusting its height and depth. 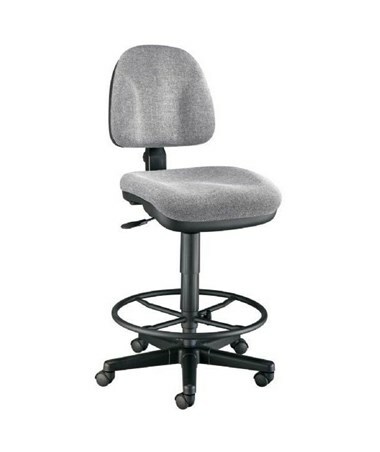 The Alvin Premo Drafting Height Ergonomic Chair features a 25-inch diameter reinforced nylon base with dual-wheel casters. Its Polypropylene seat and back shells are durable and sturdy. To accommodate different preferences and needs, it offers two variations of seat and backrest materials: fabric and leather. It is available in two colors. 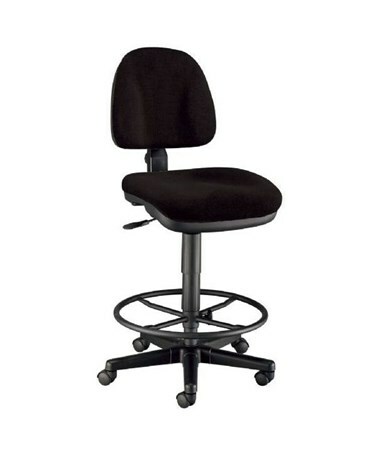 The Alvin Premo Drafting Height Ergonomic Chair comes in two material variations and two different colors. Please select your preference from the menu above.